Yeah. She’s become especially girly just as of late, hasn’t she? Every now and then I’ll notice a chubby girl who resembles Take-chan. 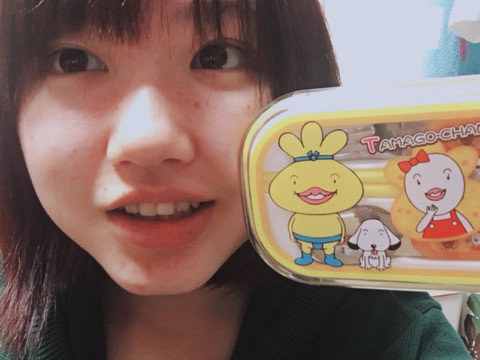 But recently I’ve been wondering: do they appear chubby to me because they look like Take-chan, or is it just that all girls who are chubby remind me of Take-chan? Takeuchi Akari wears Peach John underwear! Sanma: So this brand of underwear is popular among your generation, huh. Iikubo: A lot of people our age wear them, yes. Sanma: So even you wear Peach John? Sanma: Hahahaha. Ah, I know! You must wear, like… You wear underwear with anime prints on them, don’t you? Kudo: Um, I’m not a grade schooler anymore. (laughs) I don’t wear anything like that either, no. Sanma: Alright, that’s it for this corner. Sanma: Ah! I made her angry. You don’t need to be Sanma to be going “wooow” over this. Having arranged over 60 songs for Hello! 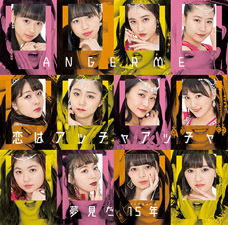 Project, including the likes of Melon Kinenbi’s “Akai Freesia” and “Nikutai wa Shoujiki na EROS,” Berryz Koubou’s “Jiriri Kiteru” and “Munasawagi Scarlet,” °C-ute’s “Aitai Lonely Christmas,” as well as Aa’s! 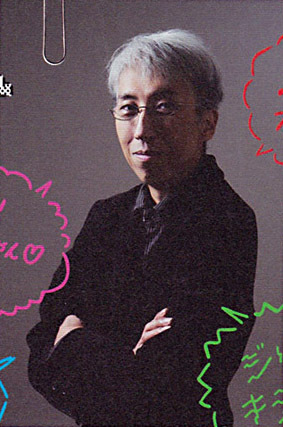 “FIRST KISS” and “Masayume,” Yuasa Koichi is one of the “bread-and-butter arrangers” of Hello! Project. Having originally debuted as a member of band Twenty-four, he went on to becoming a touring member for Shiina Hekiru before finding himself involved with Hello! Project. Through this interview, we learn a little bit about how he’s able to do what he does best with his arrangements: pulling off multiple things simultaneously while blending those various, conflicting elements in a clever way — and how delicate it can be to maintain that balance. — The first Hello! Project song you worked on was Melon KInenbi’s “Akai Freesia,” wasn’t it? Yuasa: That’s the first song that had my name in the credits, but I’d actually been helping around quite a bit before that. 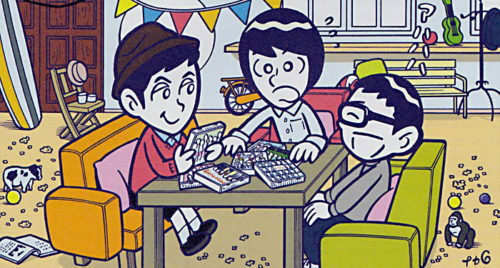 Yuasa: Yes. Guitarist Ubukata Shindo, who played with me in this band called Twenty-four, had been working for Tsunku♂ as an engineer on a bunch of Hello! Project and other Tsunku♂-produced songs. He was starting to get busier, and that’s when he asked me to help out. At first, the two of us worked together as a unit (by the name of 23’s) on song arrangements, chorus arrangements, and even project assistant duties. We did quite a bit of work together. Rather than being outside arrangers per se, our job description was more like being assistants to Tsunku♂. — Could you begin by talking about your personal favorite Hello! Project albums? Tsurugi: I like Matsuura Aya’s First KISS and x3. Her first album is often called a masterpiece by fans. There was something about Matsuura back then that you can only hear on that album. Idols sometimes tend to “de-idolize” — for Matsuura, that change into “singer” came rather quickly. Her debut was the only album where she was purely an “idol,” but even on that release there was already a mix of both youthfulness and maturity. She had the technical skill that made her seem like the complete package, but she also had that youth and that idol-ness about her. And that expressiveness… the variation she showed on each and every song. I don’t think that album has much of the so-called “Hello! Project flavor” on it. It just maintains a fantastic balance throughout. She’s never going to make an album like that again. With that said, I also like her third album a lot. — That one’s great, but in a different way from the first album, right? Tsurugi: She showed so much growth. I actually prefer the album tracks on that release more than the singles. In short, it just has so many songs I like. Back then, whenever Matsuura was releasing a new song I was always both nervous and excited, and so to suddenly receive an album with this many songs I loved… You know what I mean? Oomori: Matsuura’s singing always really stands out, so when she puts out an album, they’ll have those those certainsongs on there that can be a touch weaker in the sound department — you know, the not-as-serious “album tracks.” And it’s actually those songs that I tend to prefer from Matsuura. Namba: Seeing as this book is about the albums of Hello! Project, we’ve each been asked to list five of our favorite Hello! Project album songs. Koide: I must begin by saying that out of all Hello! 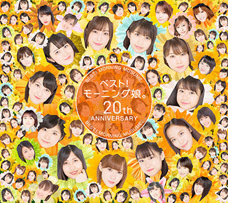 Project albums, past or present, Berryz Koubou’s first album might be the best one out of any of them. I’m afraid that might be the case. 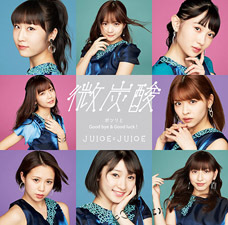 Koide: Berryz Koubou’s 1st Chou Berryz and Dai ② Seichouki might be the best of them all — conceptually as well as in terms of their degree of perfection. Like, if you were to look at specific songs here and there, it’s not like there’s not a single track on there that’s not a bit… you know? (laughs) But they both have overarching stories and the songs all serve a meaning. Both releases stand on their merits as concept albums. When you listen to H!P releases with that mindset, there are actually a couple of other conceptual albums like that as well. v-u-den’s Suite Room No.1 comes to mind — that’s a good one to listen to in order. Hyadain: Hmm. I’ve never done that. Koide: v-u-den only released that one original album which means it has all their singles up until that point. That’s the main draw for most people. But the concept is that it’s a “hotel” — the album actually begins with the group checking-in. Do you suppose even non-H!P fans might by now know who Mano Erina is? Has she become someone even non-wota might recognize? That’s tough to say. Is it just me who knows her? Or is the general public in on it, too…? She’s become quite well-known through Nige Haji. 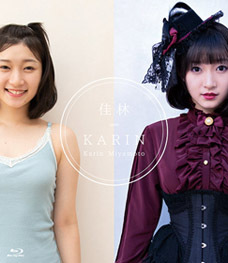 I’d bet the general public has no clue she was ever in H!P. They only know her as an actress. 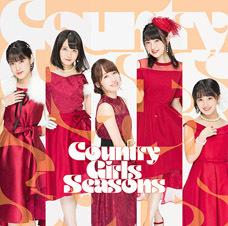 What will be the final song Country Girls Tsugunaga Momoko sings at her graduation concert? Ending with Yurushite Nyan Taisou would be the most Momochi-like ending. 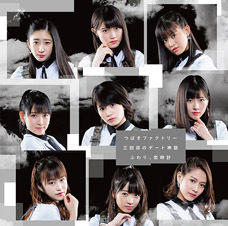 Itooshikutte Gomen ne — with all 8 members. That one “bye bye” song. I’d be wailing if it was that one.